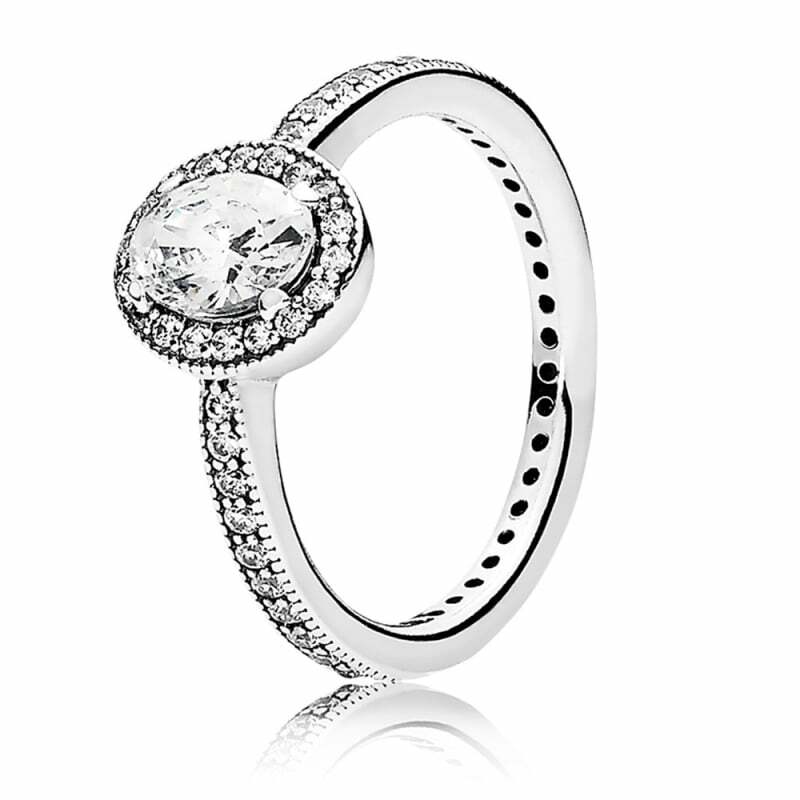 Sterling silver with a beautiful curved design set with an oval cut sparkling stone surrounded by a halo of smaller cubic zirconia. Beautiful ring for my granddaughter's 21st birthday. I'm sure she'll love it!